Crest Precast Concrete: Large Precast Tanks Set for American Outdoor Brandsin Columbia, MO. 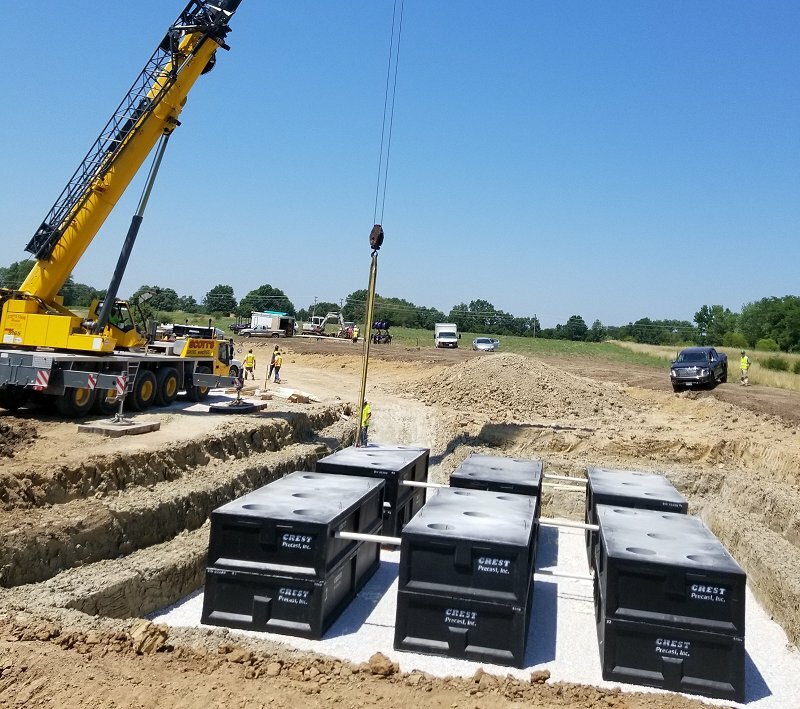 Large Precast Tanks Set for American Outdoor Brandsin Columbia, MO. Precast Tanks Set in Columbia, MO. for large sewer project. 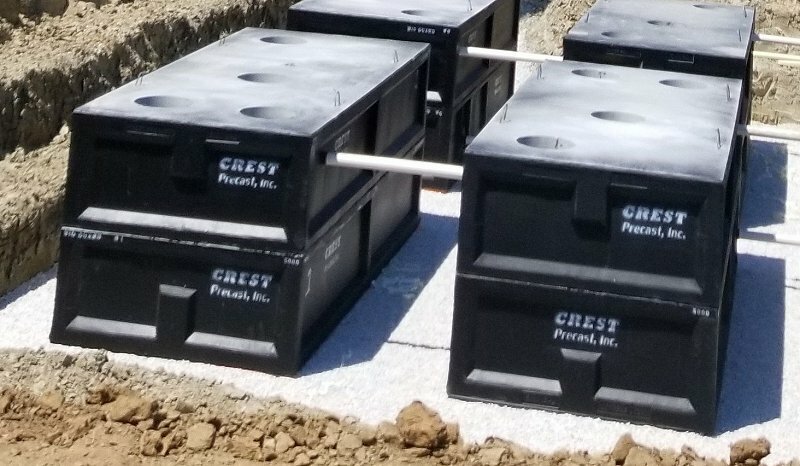 Crest Precast placed 6 each Model 5,000 gallon tanks for American Outdoor Brands at their new 55 million dollar distribution center. 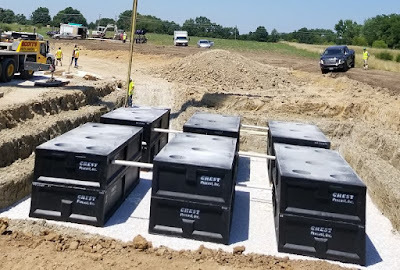 BIO-GARD will outfit the tanks as Septic, Re-circulation and Pump tanks. The piping lined up perfectly for this complex tank set. Great blog! the precast compound walls is one of the best option to make our construction process in an effective way.